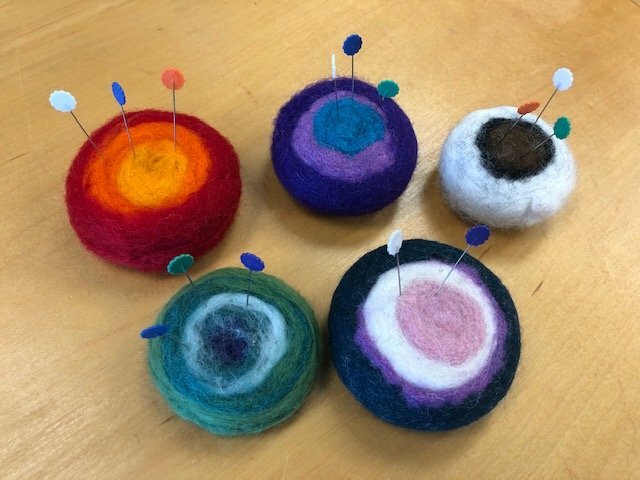 Hand made felted wool pin cushions. The lanolin in the wool helps to lubricate the pins so the slide through the fabric more easily. Approximately 3 inches in diameter. Colors and sizes vary. Allow us to choose one for you or call the shop for details.